Gone are the days of saying that you have ‘done’ digital after a major technology overhaul. Instead, it is an evolution to transition and optimise your business continually. Even digitally native companies know that they have to innovate and stay ahead of the game because of growing disruption and rapid technological change. 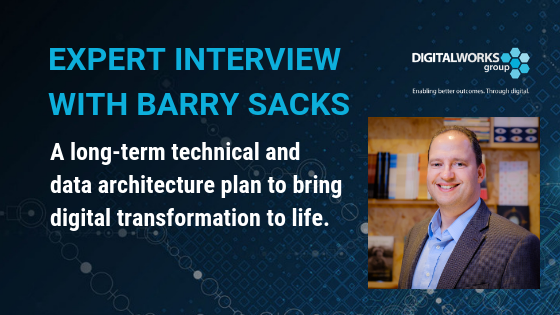 To kick off our digital transformation series we discussed what is really meant by the term ‘digital transformation’, why it is so important and how you can begin to approach the digital evolution journey. 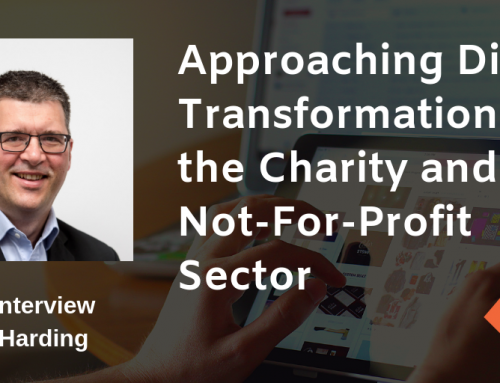 Before embarking on any digital change programme, it is essential to have a clear understanding where your starting point is and the direction you need to travel. 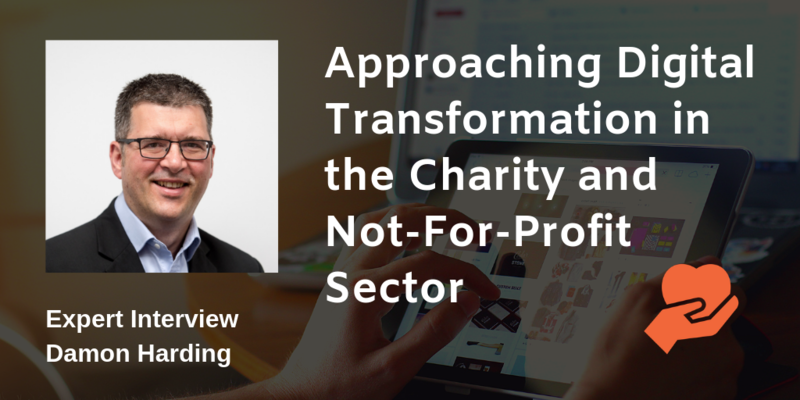 Without this, you could be contemplating an expensive, potentially highly disruptive and business-wide change programme without setting a clear vision and well thought-out strategy and objectives. 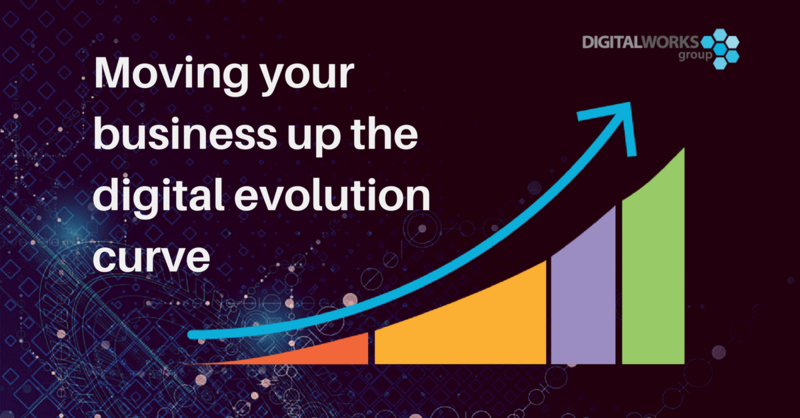 At Digital Works Group we explain how any organisation can digitally optimise itself to develop competitive advantage via a simple ‘digital evolution curve’. This tried and tested graphic was developed because our clients needed a simple and clear illustration of what the typical digital transformation journey might look like. The graphic makes it easy to plot the trajectory a business can make over time, irrespective of industry, size or maturity. Most importantly it illustrates how businesses can move up the digital curve to maintain competitiveness and thrive in the face of disruptive innovation, increasing competition and rapidly changing consumer behaviour. This is far more common than you think! We estimate that over 50% of businesses do not have a comprehensive plan for embracing digital technology. Most businesses are doing something, but it is likely to be uncoordinated and not linked directly to the long-term plans for the business. If businesses do not fix this, they will become obsolete sooner or later. This stage deals with what we would term as micro transformation. A typical business at this stage: may have a strong web presence and analytics supporting the customer experience. It is about revenue generation and top-line benefit. Often a stage 1 organisation has legacy core systems and logistics; finance, reporting, operations and HR are often on separate older systems. Processes frequently incorporate people and transfers of files etc. Things to consider: How does the culture of your organisation tick? How will digital channels and processes be adopted across audiences e.g. 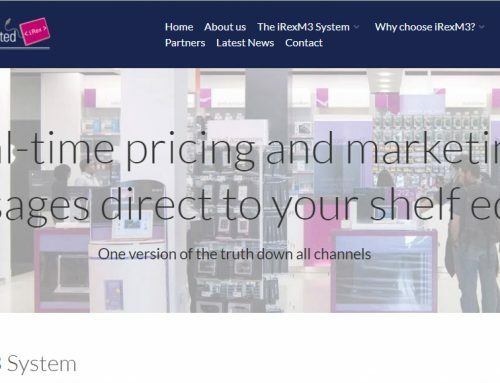 Staff, customers, and suppliers? Digital is another channel, not the only channel. Clear benefits: This is often a good way to get started on the digital journey, allowing an organisation to commit to customer facing enhancements. Stage 2 provides a more macro-transformation. A typical business at this stage: May have multiple large technology programmes in flight. It will be focusing on standardising the common processes and implementing the new policy and risk frameworks. The business will be focusing on costs, efficiency, speed and simplicity. Things to consider: The business will need to be very clear about the outcomes they want to see, the KPI’s and targets. This stage is technically the most complex (and some argue boring), but it is essential to bring the wide-ranging benefits of digitisation. Clear benefits: This stage brings simplicity and cost saving (margin growth). It often leads to scale too. Stage 3 is where all the new stuff happens. Lots of new disruptive businesses start here, building new/simplified ways to do mundane or complex tasks. Typical business activities in this stage: Are pilots, trials and new ventures. They may have set up a shadow IT team. Building new solutions in parallel which ultimately take the lead. Things to consider: These activities can be expensive and must be tracked and constantly measured to ensure they are value for money. Businesses must be prepared to get it wrong (fail) and forget about it. Expect to run lots of innovation trials in parallel. Everyone needs to be involved in making this transformation a success to don’t hide it away. Clear benefits: This stage brings change quickest. It is disruptive when done effectively to both the business and competitors. 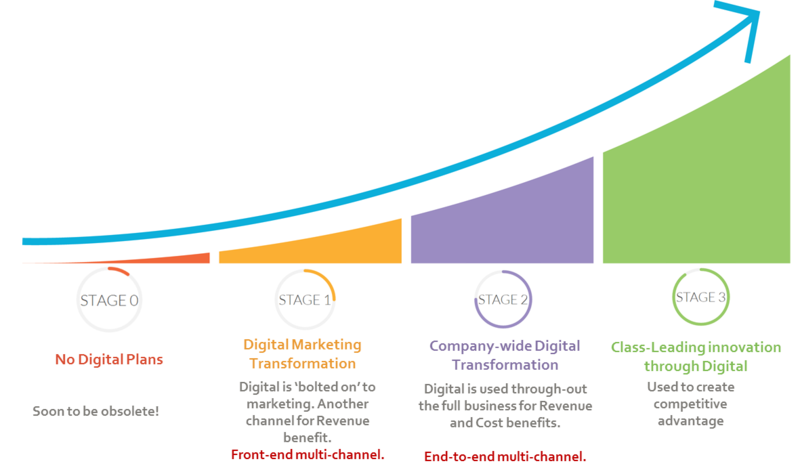 Before you start to look at a long-term digital strategy (especially if you are at stage 0 or moving into stage 1), you should develop a good understanding how digitally enabled your business is compared to best practice. This helps you gain clarity on how big the task in hand is. 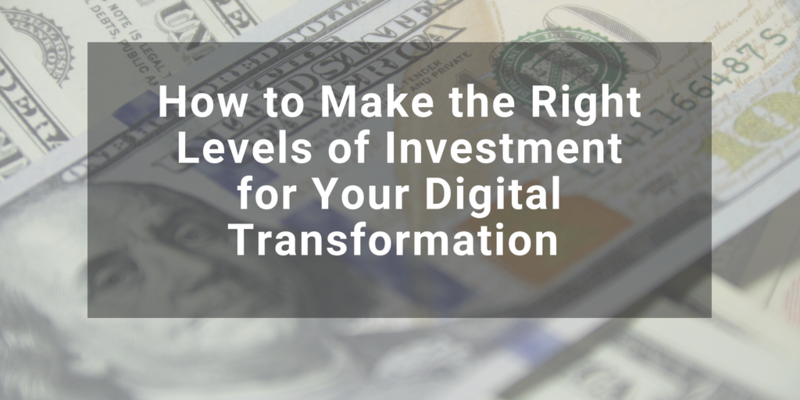 Transformation can be complex and involve significant investments regarding time and resources. 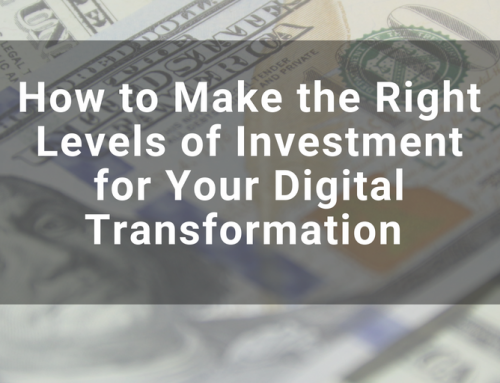 You need to be confident you know what you need to do to be truly competitive and maximise your digital investments. A digital audit can help provide a clear understanding of how the business compares to digital best practice. Typically a digital audit will employ a highly structured evaluation process to gain end-to-end insight into how digitally optimised the business is. This, in turn, will enable you to achieve top level recommendations on what, where, and how to digitally transform. 2) Set a clear vision of what your long-term business goals are and how you are going to achieve them. Set a clear vision of what your long-term business goals are and how you are going to achieve them. At the heart of any successful business is a laser-focus on objectives and strategy. You must understand what you are trying to achieve. This means developing a strategic vision of what you want to look like and identifying the critical success factors that are needed. This strategy should be based on the right insights and analysis. Your company vision needs to be agreed and shared across the business. 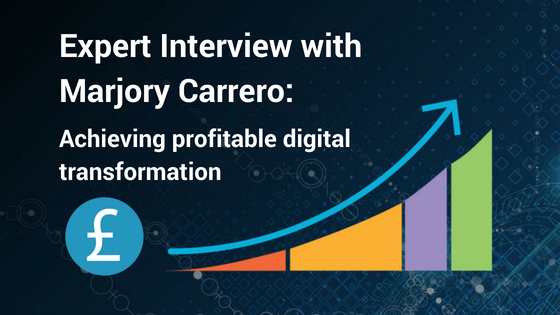 In a recent blog, we also talked about the important steps you need to take for the successful initiation of digital transformation. 3) Create a clear framework for change. Once you have set your vision, this should work hand in glove with an actionable long-term plan. Creating a framework for delivering change. 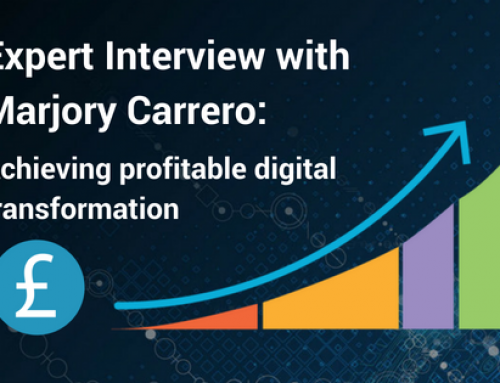 Execution should be measured and tracked centrally so you can follow the performance of your digital transformation. 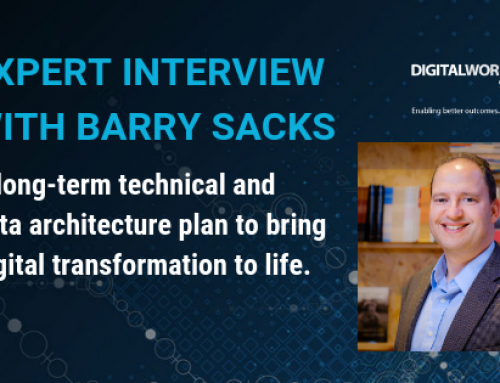 There needs to be stakeholder-focused metrics and deliverables, and collective responsibility in the senior executive for delivering digital transformation. 4) Finally, get communication and engagement going in your organisation for digital transformation to work. It sounds simple, but for change to happen, it should not be done in silos. There should be a collaborative environment and creation process where people across the organisation to work together and have a consistent conversation. Everyone needs to an understanding of what you want your vision to be and how it will change your organisation. You need to understand the size of the challenge and what it is going to take to make the change happen. Need some help with your transformation plans? Our Strategy & Leadership team are highly experienced in helping businesses solve their digital transformation problems. We have delivered multiple integration and transformation programmes. We can help you to define your vision and create values and behaviours which allow your business to change and grow. Providing hands-on, down-to-earth, proven expertise. We are offering a free 1-hour consultation via Skype or telephone.